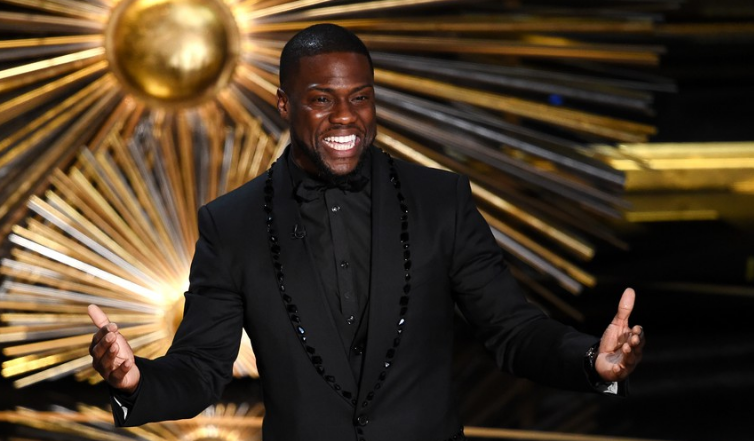 It's Official: Kevin Hart Will Host The 2019 Oscars, Read His Statement Inside! - T.V.S.T. You may have heard rumors this week, claiming Kevin Hart was in talks to host the 2019 Oscars, and now we finally have confirmation. The Academy of Motion Picture Arts and Sciences was taking its sweet time picking a host for the event. After all, it’s just a little over two months away now. It was announced Tuesday afternoon that Kevin Hart will host the Oscars on Feb. 24, 2019. Jimmy Kimmel had been the host in 2018 and in 2017. This decision surprised some, but the Oscars are trying to bring in ratings, especially with the younger crowd, and right now it’s hard to find a comedian hotter than Hart. “For years I have been asked if I would ever host the Oscars and my answer was always the same. I said that it would be the opportunity of a lifetime for me as a comedian and that it will happen when it’s supposed to. I am so happy to say the day has finally come for me to host the Oscars. It’s a huge honor. As he mentions, some true legends have hosted the Oscars, including Chris Rock, Steve Martin, Whoopi Goldberg, Billy Crystal, Johnny Carson and Richard Pryor. That’s a great list to join. Congrats, Kevin. Please make the sh*t entertaining, man! ROAST SOME PEOPLE! MAKE IT INTERESTING! AND DON’T DO A SONG/DANCE NUMBER!